1. 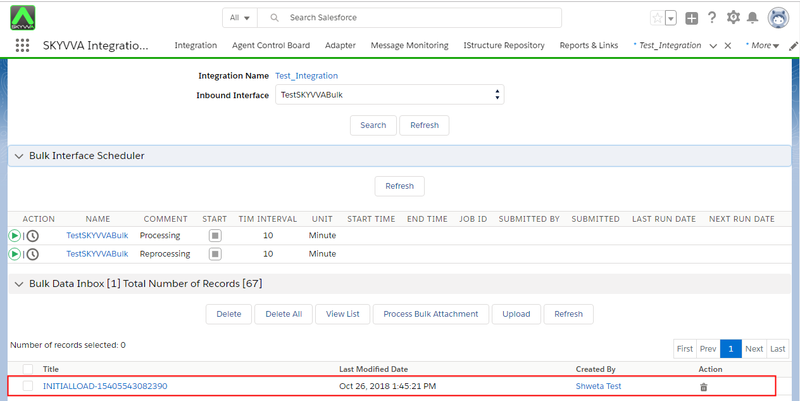 What is SKYVVA Bulk Interface Processing? 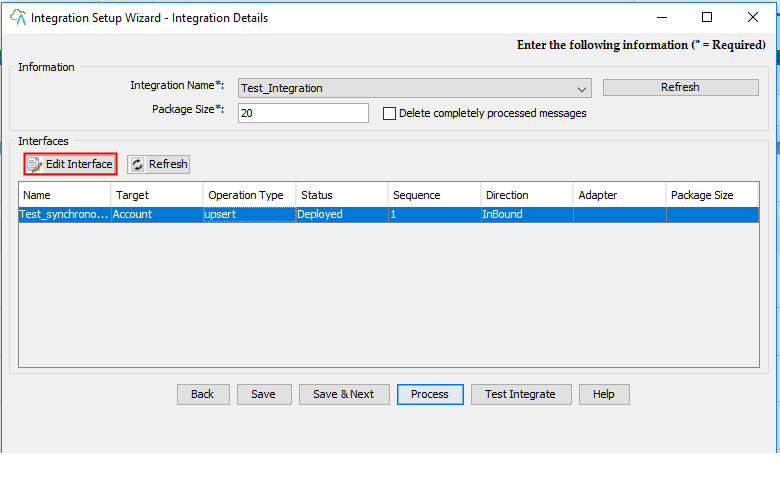 SKYVVA Bulk Interface Processing is an interface uses for running bulk attachments. When you have many data, using Bulk Interface Processing is necessary (over 5000 records). Bulk Log Keep Size: The number of bulk execute log to be kept. 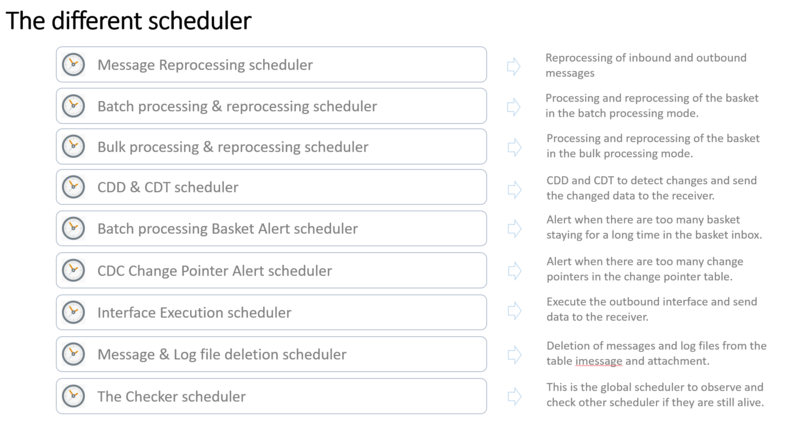 Note: After you done configuring the bulk processing, you can do mapping in Salesforce. 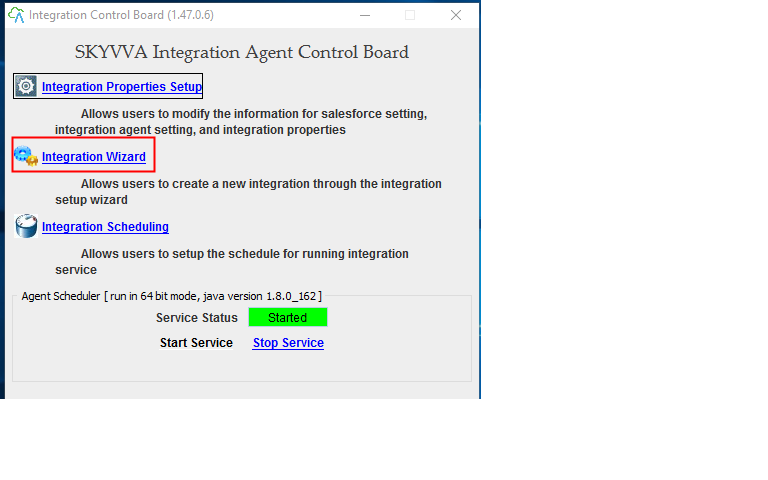 You have to remember that creating, editing and deleting interface have to do in Salesforce. To create interface please check this document (How to create interface). 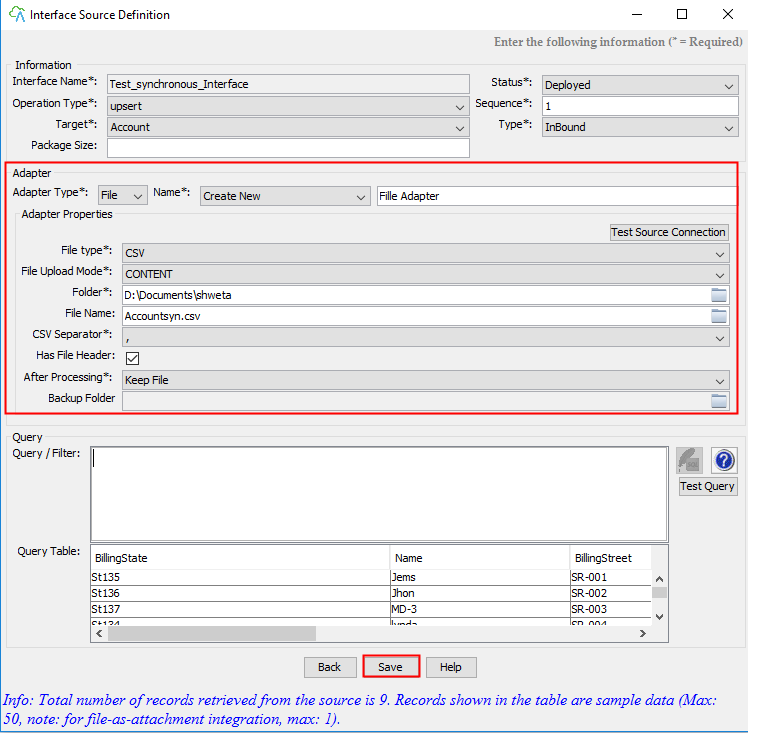 This document will show the example by integrate the data from Agent. To be integrate from Agent, you have to create adapter. When data pushed from the client using Bulk API, they will appear in this section. As you can see below, there are 5000 records are integrated from Agent. 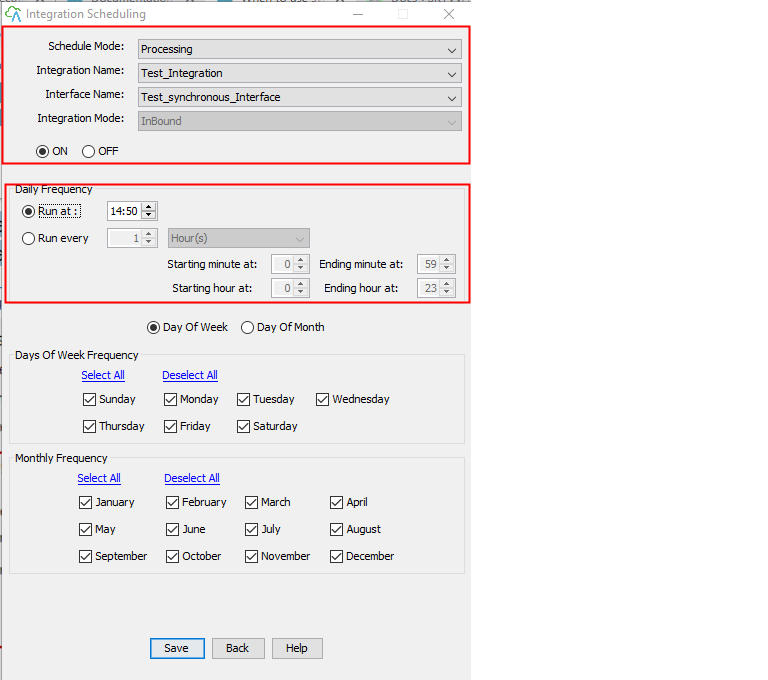 There are five attachments which you can do manual reprocessing by checkbox and click on “Process Bulk Attachment” or you can set the time and then start the scheduler in Scheduler Tab. This section will allow you to set the scheduler and start it. Bulk Data Processing is using to store data that are processing. These data will remove after it done to Bulk Monitor section. Whenever all the attachment that store have face some problem like crashing you can use delete button to eliminate them. However, if you want to stop these attachments processing you need to go to Apex job to abort them. Otherwise, the attachment will keep on processing. You can do reprocessing by checkbox and click on “Re-Initialload” button. At the same time, all the attachments will also move to “Bulk monitor“. In this section you can monitor the total records of attachments, total batch and batches that had processed. Likewise, you can also know if the attachment is completed, failed or pending.